It has been said that the eyes are the window to the soul. But, did you know that the eyes can be the key to view details about overall health and wellness? Regular eye exams not only check your vision, but these appointments are essential to evaluate potential signs of disease. A complete eye exam includes critical evaluations that can shed light on your overall health. Even if you aren’t experiencing unusual symptoms, it can be beneficial to maintain regular eye appointments. In fact, many eye diseases display no symptoms. The only way to detect these problems in the early stages is if you are consistent with regular eye exams. Early detection means that you can access early treatment if there is a problem. Managing certain eye conditions in the early stages could be the critical step in preventing potential blindness. This appointment might contribute to the diagnosis of seemingly unrelated health concerns, such as cancer, hypertension, diabetes, and thyroid disease. 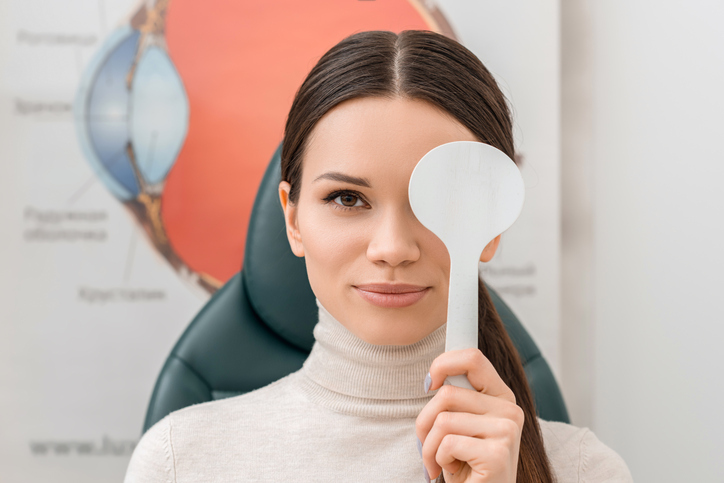 There are times when the eye doctor can identify the early signs of these health problems; then the patient can be referred to a physician for treatment. In situations where the disease affects the eyes as well as other aspects of health, such as diabetes, it is important that the eye doctor works hand-in-hand with the other medical professionals in treating the condition. Additionally, these appointments are helpful to detect gradual changes in the eyes. These seemingly small changes need to be detected as early as possible to help the child with their education in school. Healthy vision has an impact on various aspects of a child’s development. If problems are left untreated, then the child might encounter behavioral and learning problems that could have been prevented with proper eye care. Is it time for you to schedule an eye exam? Talk to our experienced team for more information. We have two locations for your convenience. Call our Temecula office at (951) 302-1331 or our Murrieta office at (951) 600-9226.